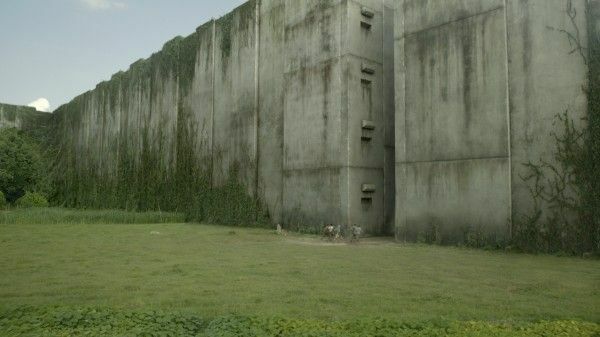 Last summer, when The Maze Runner was filming outside New Orleans, I got to visit the set along with a few other reporters. If you’re not familiar with James Dashner’s YA novel, it centers on a group of teens who appear in an area known as “The Glade” but have no memory when they wake up. The only way out appears to be through a shifting maze of massive walls that harbor dangerous creatures known as Grievers. Only one of the teens, Thomas (Dylan O’Brien), holds the secret to their escape. 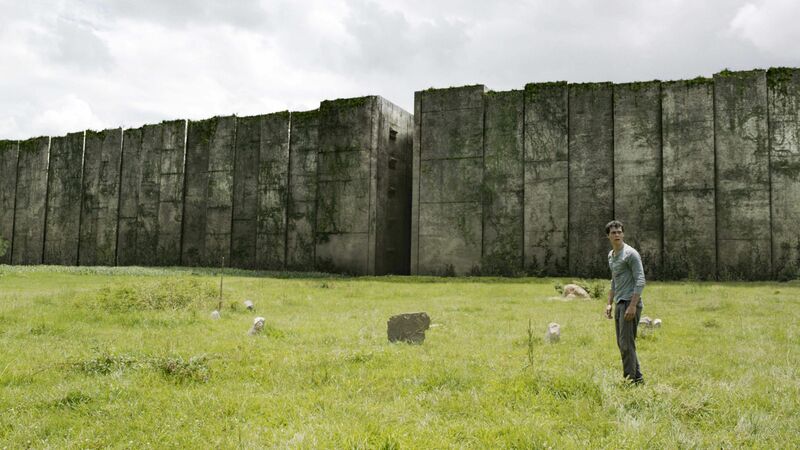 The Maze Runner also stars Kaya Scodelario, Aml Ameen, Thomas Brodie-Sangster, Ki Hong Lee, and Patricia Clarkson. During a break in filming I was able to participate in a group interview with producer Wyck Godfrey. He talked about adapting the novel, putting together the cast, building practical sets, the Grievers, production challenges, the cast boot camp, and a lot more. Hit the jump for what he had to say. Question: What made you target this book for adaptation? Wyck Godfrey: Honestly, the thing for me that really excited me was that to me in all the YA literature that’s out there right now, this was the strongest boy-protagonist one. I have three sons – thirteen, twelve and eleven – all of whom have read all of the books. They had read them before I got involved! I had actually read the first book when it first came out; and a friend of mine was going to direct it early on at Fox, Catherine Hardwicke. A couple years later, I was in the middle of the Twilight stuff and then I met Wes Ball after I had seen his short, Ruin, and was blown away by it. He and I kind of formed a connection, and tried to figure out how to work together, maybe even on the film adaptation of Ruin. Right when I finished up Die Hard the studio called and they said we’re going to make Maze Runner with this guy, Wes Ball. They asked, do you know him? I was like, yeah, I’ve met him and he’s great! So he and I met and talked about the script they had. My kids told me that if I didn’t produce it, they would kill me, so…yeah it was great because I always liked the book. I’d been looking to find something that’s a little bit more male orientated, for that audience. I was telling the studio, to me, this is the kind of premise and concept that can pull my kids off of Minecraft and get them into the movie theater. The cool thing about the book is that it has the most male readership, but it’s still 60% girls and 40% boys in terms of the split. Obviously, girls are the ones who read. So it really works for girls and boys. Certainly the character of Teresa that ends up in this glade full of boys, is kind of like a wish fulfillment for most girls! I’ve always loved adventure films and Wes described it as Lost meets Lord of the Flies, which…I love Lost, and I love Lord of the Flies! So, we can make a really cool movie. 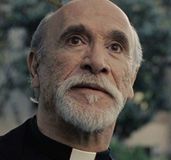 In the movie there’s no coma and there’s no telepathic connection between Thomas and Teresa, why that decision was made? Godfrey: Really, I’d say that’s the biggest change from the book. We talked to James Dashner about it early on – in that in the book, Teresa and Thomas are all of a sudden hearing each-other’s thoughts. Which, on top of everything else that has happened in the book at that point was like another kind of like ‘Whoa, what is this place?’ It’s not something very visual, that you can see. It’s not something that Wes really loved from the book. So, we’re setting it up so we can carry it on in the second book when it becomes a more prominent feature. We’ve got some visual things we’re doing where those who have read the book and love the book can go ‘Oh, there’s some connection happening.’ We’re just not going to show that. We have so many things in this movie that we have to acclimate the audience to, which is the fact of the existence of the Glade. What is it? Who put us here? Who are we? You know, the idea that they don’t have any memories. They don’t have any understanding of what’s outside the maze. You’ve got the solving of the puzzle of the maze. The grievers, which are this creature that we’ve never seen before. When Teresa comes up it’s already a mystery because she reveals that she is the last one ever. 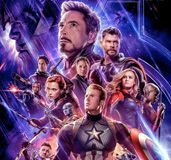 You know, she says ‘Everything is about to change.’ To add the telepathy on top of that seemed just like one too many things to handle in the 90 minutes we have, or two hours we have to make this movie. How does it change the film to not have Teresa in a coma? Godfrey: She actually is out when she comes up. She has this brief thing like she does in the book where she pops up and says one thing and then goes back. She’s out for a little bit, and then they go on about their way and there are a few more scenes. 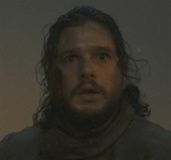 Then, when Minho and Thomas are in the map room, all of a sudden the medjacks come in and one of them’s got the knock, the same thing in the book, the knock on the head. Minho and Thomas are like, ‘What is it?’ They’re like, ‘The girl!’ We did something fun in the movie that James didn’t have in the book, we have this huge lookout tree that I think you guys saw. We decided to have the first thing she did when she wakes up, she doesn’t know anything and she’s surrounded by these boys, she bolts and sees this tree and goes up it. It’s like they freed a fox. She’s basically pelting them! She’s throwing stuff at them, and Thomas goes up and has his scene with her. So, that part’s still fairly similar to the book. Can you talk about the casting of the film? They’re relatively unknown. Godfrey: Yeah, honestly, I say it everyday. We are amazingly blessed with the cast we chose. 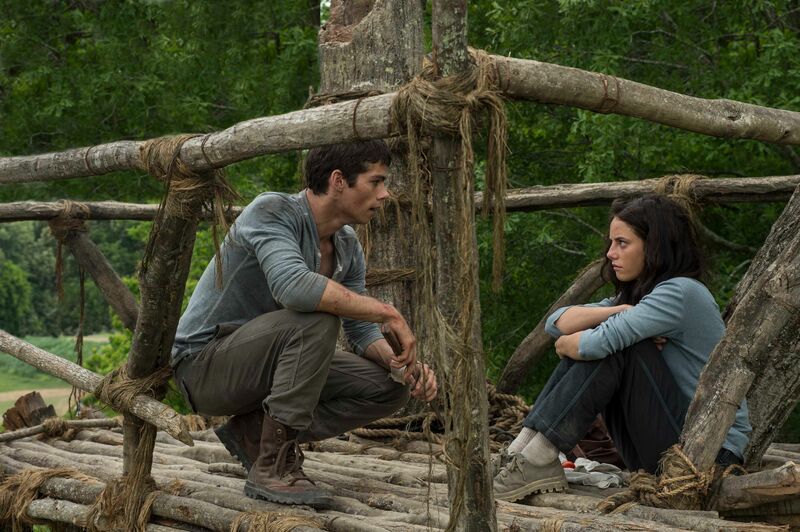 They’ve instantly become the family of the boys in the Glade. We spent weeks beforehand, and one night when they all spent the night by themselves out here – thank God none of them were bitten by dangerous snakes. It’s really role by role we really picked the person that we felt best embodied the character. We have some wonderfully classically trained actors – you know Thomas Brodie-Sangster plays Newt, and he has this kind of twinkle in his eye that we felt Newt had in the book. His hair is the longest, but it’s not as long as it is in the book. Aml Ameen is just this incredibly strong figure, without being this big and boisterous figure. He felt like Alby from the book. He’s constantly concerned about the world, and maintaining the structure and order that that they’re barely hanging onto. Will Poulter has this great domineering presence, he has this severe face – he plays Gally. We’re trying not to make anyone a black hat villain or a white hat hero. He’s someone who built this place, and very fundamentally, doesn’t want to leave. He believes there isn’t any “out there” that’s worth going for. Even though he and Thomas are in conflict, he’s just holding onto what he cherishes. Kaya Scodelario is fantastic. She was the first picture that Wes brought up to the studio, he was like ‘This is who I envision!” I don’t think he even knew her work that well. I knew her from Skins, and a lot of people knew her from Skins, and he knew her from Skins – he just hadn’t watched the entire series. We had her audition, and she just nailed it. The thing about Kaya is that she’s kind of a guy’s girl. In her life, she hangs out with guys. She just has this ability to jump into the pit with 13 guys and not be ruffled at all. Godfrey: Yup, Newt is really the only one with a British accent that we kept – Thomas Brodie-Sangster’s. With Chuck, the funny thing is that Wes kept on getting these tweets from this little guy in Atlanta, like ‘I’m your Chuck, I’m your Chuck!’ everyday. ‘Look at me, I’m your Chuck!’ Eventually he was like, ‘Eh, you kind of look like Chuck, the casting director is Denise Chamian. Contact her, I’ll tell her you’re going to contact her. Send in an audition!’ He sends in an audition and Denise calls Wes up like, ‘I’ve got to tell you, this kid’s really good!’ Now, see, he’s in the movie. It’s kind of the cool thing about Wes. It’s the new age of filmmaking, it’s almost crowd-sourced in some way. His chief relationship with his visual artist is that way – Wes has never met him. They’ve never spoken. They’ve only communicated online, he lives in Belgium. He’s done all the art, he’s kind of created the griever! Wes lives online and connects with these people, cast a kid from Twitter, he’s got his artists for his visual effects company working all around the world. It’s been neat. Can you talk about what a griever might look like? Godfrey: In the book it’s almost described as a slug like thing, with almost grafted parts. With everything from saws to spikes to shovels. Which I thought is a little immature, but what Wes loved about it and we all loved about it was that by it’s nature it was bio-mechanical. It was a biological being that scientists have grafted onto dangerous things. So, we’ve got something that I think has more of the shape of a giant…almost like a flea? Like if you’ve seen fleas blown up in huge size? But, it’s got, these metal legs, and stingers. All these kind of dangerous apparatuses on it. They’re going to be very scary. We’ve created some busts of it, and we start shooting the maze in a couple of weeks. The guys are pretty excited about what we’ve come up with! Can you tell us about how the maze will be done? Godfrey: As you saw with the wall, everything we’ve built is just going to be the beginning of what’s beyond it in CGI. So, if we’ve got a twenty foot wall out there it’s going to be 150 feet. Same thing on stage! We’ve taken over a Sam’s Club that was defunct, and took over the entire warehouse. We’ve built we’ve kind of 16 foot walls that we can move around to create the different shapes of the maze. It’s got the ivy growing up it, and all that. Wes’ vision is that the first part of the maze is kind of like your traditional maze. It’s kind of like The Shining. You know, narrow walls, dark, but once you get through that, there’s what we call ‘The Inner Ring,’ which is almost like huge scale, like highway width. The walls are much taller, and wider. It get’s much more daunting because you think you’ve cracked it, and then you’ve made it to another section that seems impenetrable. It’s kind of eight sections surrounding the inner part of the maze and then the Glade is in the middle. So, we build what we can and put blue screen above it. We’ve got special pieces, like table tops, where he gets up on a wall and runs across it. We’ve got it elevated with blue screen, we’ve got walls he can jump on and climb. We’ve got this kind of full CG world once you get out into this huge expanse. How do you find a place like this? What made you decide to come out to a place like this and deal with the elements as opposed to doing this all on a soundstage as well? Godfrey: It was vital. Honestly the thing was that none of us wanted to make an all blue screen movie. The thing about the description of the Glade is that it feels like a meadow. The juxtaposition of the natural world with science around it is really interesting, and you know, Louisiana has got tons of stuff like that. We basically spent weeks and weeks just going from field to field that had the right dimensions. This is the thing that Wes is great at. 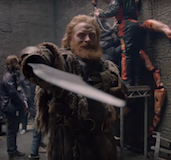 He can walk in and immediately know, from his visual effects background, ‘I can shoot here, and put the walls in here,’ or ‘No, that doesn’t work for this reason.’ We tried to limit how many times we actually have to see the walls, we obviously want to tell the story, and we want to feel them. Just the nature of it being surrounded by trees let the actors feel like they’re surrounded by walls. Yet every time you look at the village, we’re into woods and a hill, so you don’t have to see the wall in the background of every shot. We looked long and hard. We had this prison-land at one point we were going to do, then it was pulled. They basically said they needed to move their cows to the field when we were shooting so we couldn’t shoot there. It bounced around a lot, but we’re really happy with what we found here. How many grievers are there? Godfrey: They don’t know how many there are. He has an interaction with one which may be two, he doesn’t know, the first night in the maze. Then, when the grievers attack the Glade they seem to be everywhere. In our heads have this logic that maybe there’s eight. Maybe there’s one for every outer section. But we’re never able to fully explain that. We heard the cast spent a night in the Glade, who’s idea was that? Godfrey: I know it was Wes’ originally, before they showed up he was like ‘Man, I’d really love to have a campout night at the Glade.’ Of course I was like ‘Well, I’m not sure we should do that!’ Then the actors came and did bootcamp out here and they were working with this ranger that was teaching them all this survivalist stuff, and at some point they brought it up independently to him. They said, ‘Can we stay out here?’ Wes was like ‘Yes!’ So we set them up out here, we gave them tents, we didn’t make them sleep completely exposed. So, they spent the night out here! It’s a completely different place when there’s nobody around. You can hear when you walk around the noise of all the creatures and stuff. They had one of their most severe thunderstorms at around 3 in the morning, and it just unloaded on them. It rained like five inches in like four hours, it was insane. So they were good and ready to come back at like seven in the morning! Were they afraid of snakes at all? Godfrey: I think if they had known then what they know now, they would not have stayed out there, because even me. Our first night of shooting, I’m walking around, and the snake guys are everywhere. They’re like, “They’ll come out!” I’m like, “Well, we’re out in a field!” They’re like, “Oh no, they’ll come out in the field!” I’m like, “You said that they never leave the…” “Oh no, this is when they’re eating!” I had no idea. I don’t know if you all saw, but we just caught another one. How long was the boot camp? Godfrey: For a week. They would come out, do a bunch of survival stuff, then we would rehearse scenes. The thing that is so great is they really did form a bond. Even the extras did too! The extras were here everyday – they all have relationships, and you can see when we do these big wide shots, it’s not like your standard extras. They all now know each-other, and are communing in a way that feels very natural. How have you had to alter this landscape in order to create the set? Godfrey: We actually pulled all the wood that has built the set from the woods here. So, we cut and built it all. We had to build roads, because all these roads weren’t actually here. So we have a main road going in. We actually enhanced the pond in the middle, we built that pond that is in the very middle of the Glade. Then, the walls and stuff were put up. Was there anything you came up with in pre-production that ended up not being used in the final film? Godfrey: Not yet, I mean if anything our eyes were bigger than our stomachs throughout. We’d be like ‘Alright, this is a 15 day action sequence!’ Okay, alright, what can we do the 5 days that we have? I find that actually that process is good because you land up whittling it down to the core best beats of any sequence. You know, you’ll go se a movie like ‘Matrix 2’ and the car chase goes on and on and on and on. They had all the money in the world, and all the time in the world. It doesn’t make it an any better action sequence. What we had the time to do was really dream big, and then get to the realities of what we could do. Then you get down to on the production standpoint, okay this is the best. Then from a story standpoint, what do we essentially need, what’s the best physical beat to do that in. We’re going to get into some of that in the next few nights. Is there anything from the later books that will show up in this film? Godfrey: There are things in the second book that we’re considering doing little digital shorts about. Character backstories that you find out in the second book, like Newt’s limp, we’re discussing doing a little short on. Just to get people really thinking about the movie, but we haven’t really decided if we’re going to do it yet. For the most part we’re really following the book. Like, they get rescued by the rebels at the end, and whisked off to a safe place. Then at the end you really understand that Ava Paige is still the puppet master of the whole thing. Is it a cliffhanger or is it closed off so it can stand alone? Godfrey: I think it can stand alone, I mean honestly I hope it can. I also hope people think it’s a cliffhanger. The reality is that the central question of the movie is “Who are we and how do we get out? What’s out there?” We answer those questions, we get them out of the maze. There are characters that are lost along the way, and there’s a mystery of what’s out there at the end of the movie. You do come out of it going, ‘Whoa, what happened to the world?’ You don’t answer that question. You just know that the world is different, and changed. So, that will be the journey of the second film. What it is about the entire 4-book saga that makes it such a compelling story to you? What is the most challenging part about making this movie? 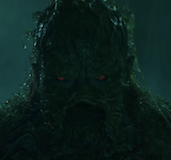 Godfrey: The most challenging thing about this movie is going to be the maze, and handling the physicality in terms of what Wes’ vision is, and what we have physically around us to do that. It’s going to be a big post-production visual effects thing, which thank God is a world Wes understands very well. We’ve all worked on very big visual effects movies, so we feel like we have a good handle on it. The hard part is always getting the actors in the mode of, ‘What you see on stage is not what is going to be in the movie.’ Trying to get a real, authentic performance out of that. That was why it was so important to shoot this really out in the real world. They feel like they’re in the Glade and they feel like they’re surrounded. If we had been in a big soundstage with fake grass on the ground and just blue all around them, we wouldn’t be getting the same stuff. The maze will be a little harder since we’re in more of a created environment on stages. Wes is a very hands on guy, who’s very experienced in the visual effects world. What has he brought to this project that was not there before he came on? Godfrey: Vision. Nobody had really thought visually about what the movie of ‘Maze Runner’ could look like in a way that excited us. I can show you things! The scale, the grand graphic scale and the scope of what was in his brain was the first time even I, having read the books, went ‘Oh my God, it could be that?’ You know? That’s cool! It’s so much bigger and complicated and epic than anything I had in my head when I read the books. Like anything – like if anything on set is troubling him, and you can see it, he’ll be up and at around 3 in the morning we’ll get an email of a mocked-up shot that’s already pre-VIZ’d. Like, you know, this is where the camera is, this is where he’ll be, and it’s already done! You’re like oh! Okay, I’ve got it. He figures it out himself. He has a great eye. The other thing about him is that I’ve worked with other great visual effects guys that then direct movies, and he’s a very humanistic guy. He’s very connected with the actors, he’s talking to them all the time, he’s animated with them. He thinks story first. The writer T.S. Nolan is his buddy from film school. They share an office together in Los Angeles, and they have the same taste, they wrote ‘Ruin’ together. So really you’re with a bunch of young film school kids that are getting to make a big, giant, studio movie. It’s fun to be a part of. Have your boys seen the set, and if so what did they think? The story has been described as ‘Lord of the Flies’ meets ‘Lost’ with ‘The Hunger Games’ thrown in. Wes brings a lot of vision – were there any films he talked about when he was describing his vision, or what he wants to emulate in this story? Godfrey: Not in particular! I know just from knowing him, and where his references growing up are, and he’ll talk about it when you get to chat with him, you know, ‘Spielberg, Spielberg, Spielberg.’ There’s a lot of that. For me it was just the wonder that he has about boyhood. He loves this place. I think he would move here if he could. When he grew up I think he was one badge short of being an eagle scout. This is the kind of stuff that he totally connects to, so I think that really enabled him to create a world that would be really appealing to boys because it’s appealing to him. It’s going to be good, I hope.